This year, Veterans Day is particularly poignant as we commemorate the 100th Anniversary of World War I. While many of us recognize the startling images of World War II, the Great War from 1914-1918 remains a little more distant. To gain some new understanding on this centenary, here are four of the best destinations for discovering World War I history. 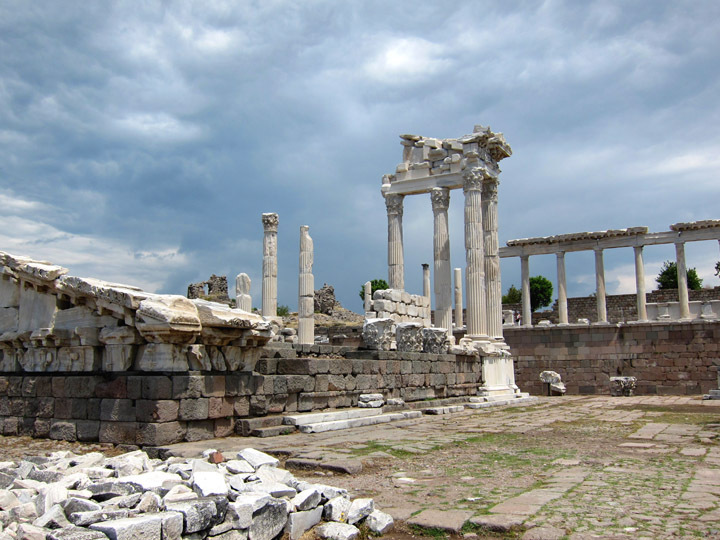 The ancient city of Pergamon, just outside modern Bergama, is not necessarily on the “tourist trail” in Turkey, so I made a special point to visit. From the garden behind my guesthouse, I shared a bottle of Raki with the other travelers and watched the fading sunset and twilight dance across the ancient ruins on the mountain above us. My mind wandered back and forth between imagining this once magnificent capitol city and contemplating the quiet, emptied ruins present today. That ancient Pergamon exists at all today in Bergama, Turkey is a wonder and a testament to its phenomenal and multi-layered history. 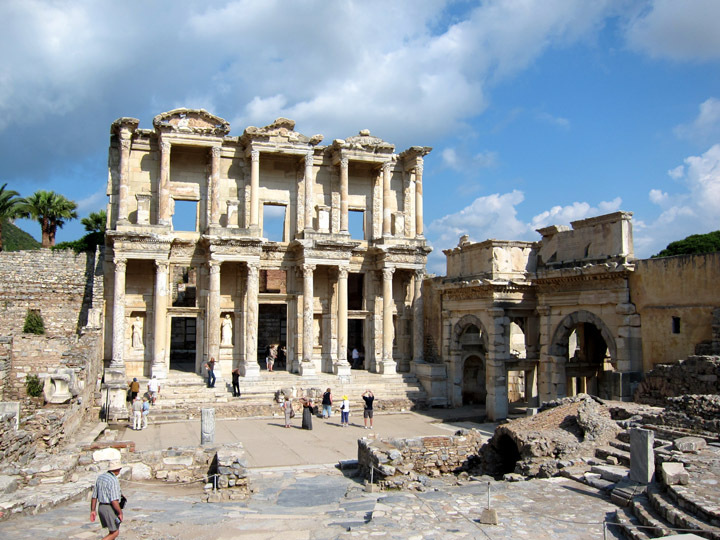 Everyone knows the beautiful Library of Celsus, part of the the ancient ruins of Ephesus in Turkey. Frequently on the cover of travel guides or prominently displayed in collections of evocative travel photos, everyone dreams of seeing this place someday. Well, at least it seems that way once you get to Ephesus… As I watched crowds hustled through the ruins, it only re-affirmed my love of slow travel. I had an amazing visit to the archaeological site and am really happy that I spent the entire day there. Me, some dedicated travelers, and the Library of Celsus in Ephesus. The monthly ArtSmart Roundtable brings together some of the best art-focused travel blogs to post on a common theme. This month we are discussing great architecture! You can find links below for the rest of the group’s posts this month. 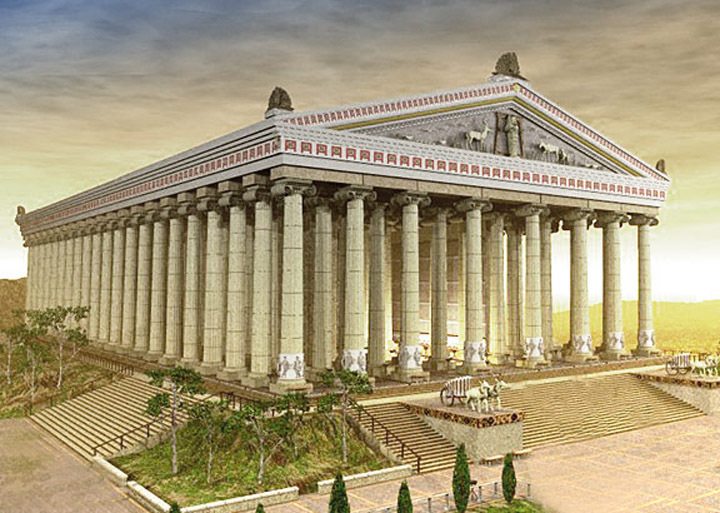 Today I’m bringing you one of the 7 Wonders of the Ancient World and the greatest Greek temple ever built: The Temple of Artemis at Ephesus! Oh wait – that doesn’t look very impressive…. 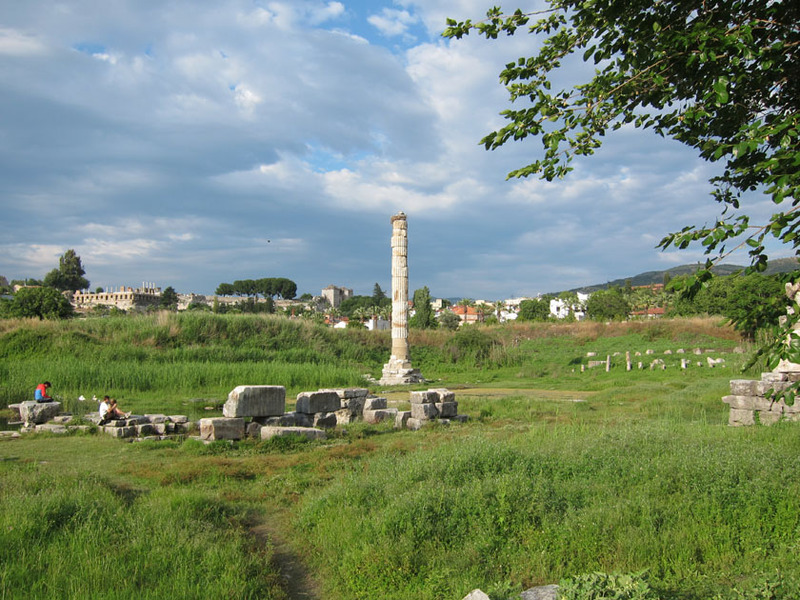 Temple of Artemis today in modern Selcuk, Turkey. 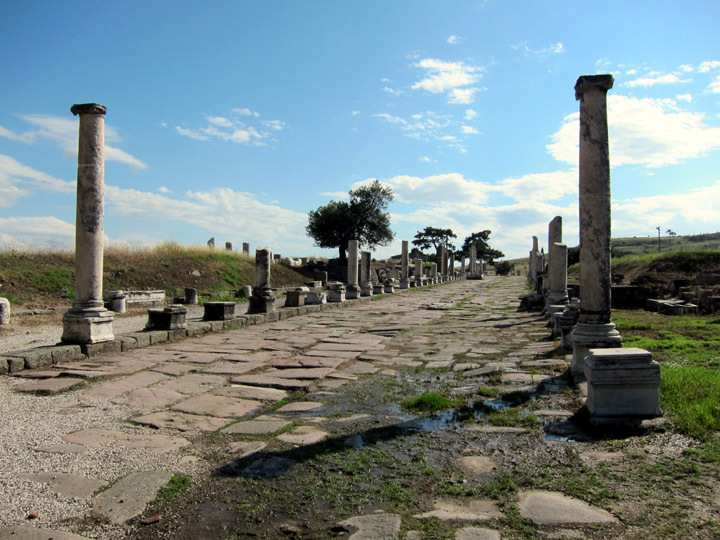 The sacred way to the Ascelpium, just outside Pergamon, Turkey. Even without the advantage of modern MRI’s and antibiotics, the Ancient Greeks understood something about health. Just outside many of the largest ruins from the ancient world, you will find a Sanctuary to Asclepius, God of Health. Taking in sick locals and travelers alike, most of these centers included steam-rooms, baths, theaters and doctors ready to interpret the patient’s dreams. Seemingly the best cures resulted from a little relaxation and spa time. And since near death patients were secreted out of the facility, it appeared the no one died at the Ascelpium under the care of the priests.